Who among us ladies doesn`t want smooth, moisturized lips? 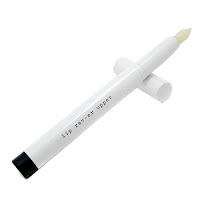 Bare Escentuals comes up with an amazing product called Lip Rev-er Upper, which extends lip wear and it locks in lip color. It`s a mixture of botanicals and vitamins such as Vitamin C and Vitamin E, but also Shea butter and Black tea extract to give condition and to hydrate you lips, while filling fine lines.